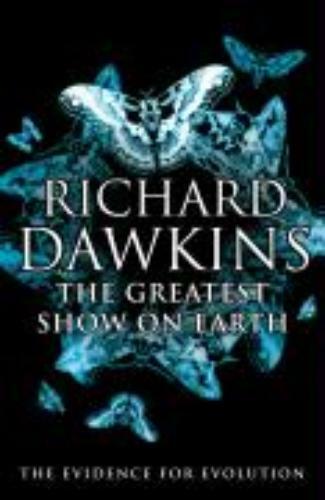 Richard Dawkins' book The Greatest Show on Earth: The Evidence for Evolution is currently high on bestseller lists in many countries. The book removes what was the missing link in Dawkins' oeuvre because in all his others books he started from the assumption that evolution was true. In this one he presents evidence. Let's walk through the book in some big steps. In Chapter 1, Dawkins introduces the word THEORUM as a replacement of the word 'theory' which in everyday use often just means hypothesis. The word 'theorum' (inspired by the word 'theorem' from mathematics) would do justice to the fact that evolution is massively supported by evidence and therefore by no means just a hypothesis. Chapter 2 describes how we can sculpt gene pools through artificial selection (for instance dog breeding), a practice which has been known to men, of course long, before Darwin came to the scene. Chapter 3 explains differences between artificial, sexual, and natural selection. Chapter 4 shows we know for SURE how old the earth is. It presents two of the three methods (tree rings and radioactive clocks). Chapter 5 shows examples of evolution we can see before our very eyes (for instance with bacteria and with guppies). It is also a powerful explanation of how the existence of evolution has been experimentally demonstrated through experiments. And experiments are of course an indispensible part of doing science because of their power to show causal relations. Chapter 6 and 7 are is about fossil evidence for evolution and they debunk some common misunderstandings, like the one that intermediate fossils are still missing which would prove that evolution would not be true. The chapters show that not only intermediate fossils aren't missing, even if they would be missing that would not disprove evaluation at all. In fact, even without any fossil evidence, the evidence for evolution would be watertight. So fossil evidence serves to underline all the other evidence. Also, the fact that no fossil has ever been found in the 'wrong' time period (which would work to disprove evolution) further strengthens the case. Chapter 8 explains how embryology is a matter of self-assembly-processes all the way which goes against the idea that humans grow according to some kind of blueprint. Chapter 9 is about 'islands' or the powerful biogeographic evidence for evolution. Chapter 10 deals with tree of cousinship and molecular evidence (and molecular clocks). Chapter 11 shows how bodies aren't designed but gradually evolved and seem like imperfect patchworks. Chapter 12 is about evolutionary arms races and their apparent futility which is another reason why creationism is so very unlikely and illogical. Chapter 13 is one big reflection on the last poetic paragraph of Darwin's On the Origin of Species. Reading the book, I came across many little details I did not know and also some more fundamental insights and facts that I was not fully aware of. While reading the book I thought how paradoxical it seems how people expressing some very uninformed and outdated opinions and views can actually play a very useful role. Perhaps were it not for them doing this and for the influence they surprisingly have, people like Dawkins would not take the trouble to keep on explaining scientific findings in such accessible ways. I am convinced that almost any part of this book can be rather easily understood by the majority of people and I am happy to see how many people are interested enough to actually buy it. I consider myself a scientist and certainly a great proponent of scientific method. As a scientist I have problems with evolution. I would read this book if it answers either of two questions which are apparent from your post. First you say that we know for sure how old the earth is. Two questions: Since it is an accepting concept in physics that time is flexible and slows down with increased speed (to the point that at the speed of light, time stands still)at the time of the "Big Bang" two thing must have been in effect. Time began. And It was extremely slow and has been slowing down ever since. So any calculation that goes back in time either 1. is based on the local, present, earth based clock and therefore inaccurate. 2. Needs to take into account this physical law of time and the calculation will be a lot less than the 14 billion (or so) years that is normally cited. Does Chapter 5 cite empirical evidence of evolution from one species to another? I have not yet seen this particular piece of evidence. Dear Arihahn, I suggest you read the book and check the evidence. You've got to remain positive, madam!